What a great experience it was to visit Teheran. 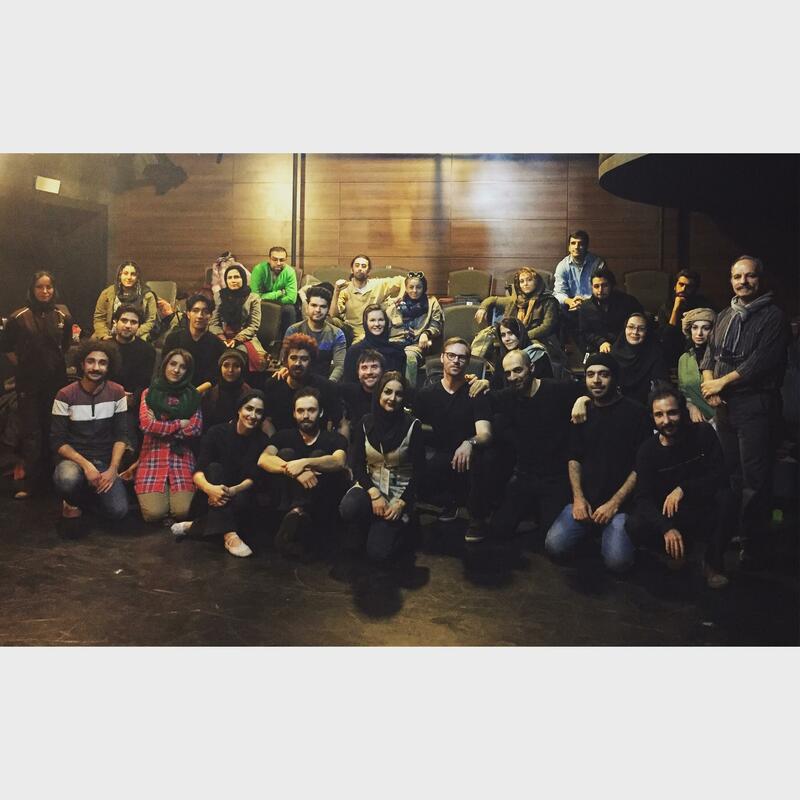 It was hard work but also rewarding to bring physical theater to Iran. We arrived late on a thursday and the day after we spent setting up our stage, sound and lights. We had a wonderful guide and translater that was with us the entire time, ordering food for us when were hungry, fixing a taxi ride and taking us to see a few sights in Teheran. In the weekend we showed 2 times each day, at 17 hours and at 20 hours. On Monday we then got a chance to get even closer to the Iranian people when we held a workshop for about 30 people. Artists, directors, dancers and actors attended. It was a movement workshop where we taught two methods of approach when creating movement choreography. We only had three hours to spear but we managed to do a lot, sometimes splitting the groups into three parts, and then showing each other a collage of things that we put together. We got a lot of questions at the end of the workshop and one person was so glad that we had come with the workshop, that she said that we were like angels. Such appreciative people and positive atmosphere. Thank you Iran for a great time, I hope we get a chance to come back.